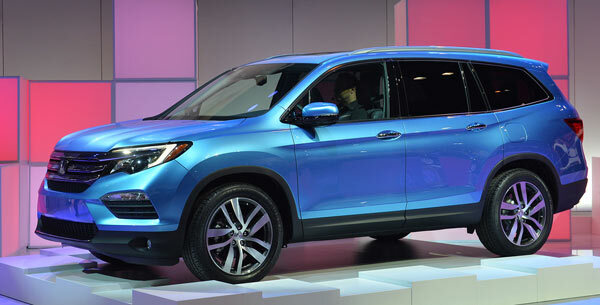 The new 2016 Honda Pilot was introduced to the world this week at the Chicago Auto Show. This highly anticipated redesign on the 2016 Honda Pilot SUV was well accepted with open arms by the general public and especially Honda fans. At first glance I had to look twice because you would never guess that you were looking at the Pilot. The formerly boxy and utilitarian looking SUV has had a complete makeover and it looks great. Honda was really on their toes when it came to new 2016 Honda Pilot because it’s like night a day. Styling, looks, economy and safety are the 2016 Pliot. Although the 2016 Honda Pilot won’t be available for sale until summer, but it already has consumer calling dealers and asking about availability. The reputation that Honda has for quality, resale and durability now coupled with good looks will probably be a home run. I am anxiously waiting to test drive this sporty looking family SUV that will definitely turn heads. The new 2016 Honda Pilot sports a new 3.5-liter i-VTEC V6 engine with direct injection and variable cylinder management (VCM). The 2016 Honda Pilot will be driven by a 6-speed automatic transmission and the upper trim levels will be equipped with a new Honda first, a 9-speed automatic transmission. 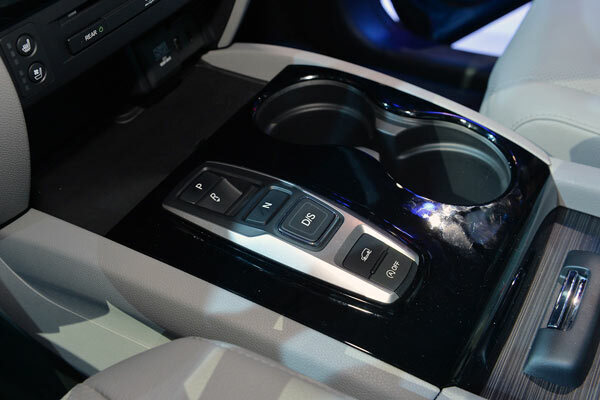 Take a closer look at one the 2016 Honda Pilot photographs below and take notice because you won’t find a shift lever, but instead a push button transmission. I guess history does repeat if you wait long enough because the Chrysler had a push button way back in the day. The 2016 Honda Pilot SUV is loaded with over the top safety features and conveniences, which make the new Pilot, stand out from the crowd. These types of features and safety features were only available on the top of the high-line cars in the past, but Honda is taking the bull by the horns and bringing what looks like a winner to the market. The Pilot is expected to receive a 5-Star safety rating from the National Highway and Traffic Safety Administration (NHTSA), but that still remains to be seen, but that’s probably a good bet. In my opinion Honda did a great job on the 2016 Honda Pilot! Honda may be head and shoulders ahead of the competition with the new line-up of SUVs that include the recently debuted Honda HR-V, the award winning CR-V (2015 Motor Trend SUV of the year) and now the newly redesigned 2016 Honda Pilot. You can always find more information at Honda.com.